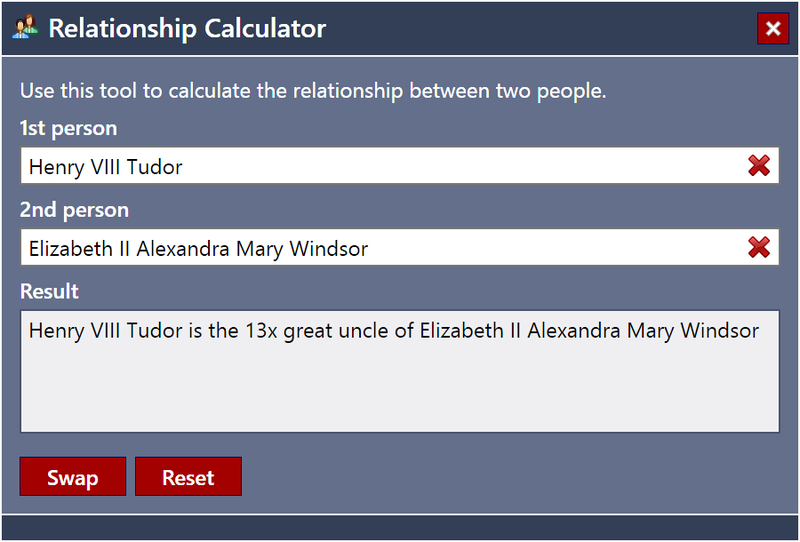 The Relationship Calculator determines the relationship between two people in your family tree. Simply select two people to display the relationship between them. To reverse the positions of the relatives, click "Swap". Fig 1. The Relationship Calculator tool.